Lenel Systems International, Inc. is the global leader in advanced security systems, developing software and hardware that effectively and efficiently protects buildings, people and assets. Ninety-two of the Fortune 100 companies utilize Lenel products. OnGuard 2018 showcases hardware integration in video, access control and visitor management, as well as additional database and operating system support.OnGuard is a centralized security management solution. Interlogix is a part of UTC Climate, Controls & Security, a unit of United Technologies Corp. Providing solutions in the areas of Intrusion,Video,Transmission,Safety,Access.The Interlogix TruVision line brings the benefits of digital security monitoring to commercial applications. Easy to install and operate, TruVision cameras, recorders, monitors and interfaces deliver practical and reliable video surveillance, even in the most challenging environments. For complete security on a moderate budget, the TruVision line is the perfect fit. 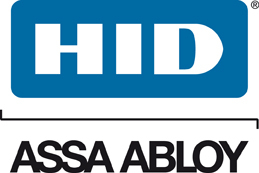 HID Global sells physical access control products, logical access control solutions, and secure issuance solutions that comprise cards, readers, networked access solutions, card printer/encoders and software. Its other business segment includes virtualization technology, cashless payment, government ID, RFID for industry and logistics and Animal ID solutions and professional services. NEC is a Japanese Multinational provider of IT Infrastructure for Small, Medium Business and Enterprise. Some of their product range include Servers ( Rack, Tower & Fault Tolerant ) , Storage, Server and Storage Virtualization, Infrastructure Software ( High Availability & Disaster Recovery ) and more. UNIVERGE 3C is a complete, software-based, unified communications and collaboration solution that redefines the way a business and individuals communicate. CNL Software is a world leader and global provider of Physical Security Information Management (PSIM) software. Their our award winning IPSecurityCenterTM PSIM technology is deployed to secure major cities, critical infrastructure and global commerce. EMC (Authorized Partner) – EMC is a global leader in enabling businesses and service providers to transform their operations and deliver information technology as a service (ITaaS). Through innovative products and services, EMC accelerates the journey to cloud computing, helping IT departments to store, manage, protect and analyze their most valuable asset — information — in a more agile, trusted and cost-efficient way. Milestone Systems (Gold Partner) – Founded in 1998, Milestone Systems is a global industry leader in open platform IP video management software. The XProtect platform delivers powerful surveillance that is easy to manage, reliable and proven in thousands of customer installations around the world. With support for the widest choice in network hardware and integration with other systems. Wavestore has over 15 years’ experience in professional security, Wavestore is a British developer and global provider of Video Management Software (VMS) with innovation and integrity at its core.Completely independent and open-platform, Wavestore’s VMS delivers powerful video recording, storage and event management coupled with seamless integration to third party devices and sub-systems – including cameras, access control, advanced video analytics, intruder detection, EPoS and video walls, to name but a few, from the world’s leading vendors. Gatekeeper is the world leader in automatic under vehicle inspection and remote access control technologies. Gatekeeper is actively involved in combating global terror through its development and worldwide deployment of security systems that allow vehicles to be automatically searched and drivers and passengers to be screened from a safe distance. As the Market Leading Manufacturer of the World-renowned Fastlane range of Entrance Control Systems and Door Detective anti-tailgating products, Integrated Design Limited (IDL) has grown organically since Inception in 1985. A member of the British Security Industry Association with a commitment to Quality, Innovation and Customer Service. Certified to IS09001:2008 Approved Quality Standard. From its founding in 1971, Commend grew from a small family business into a large, globally recognised player providing Integrated Intercom Systems. Today, our unique solutions are installed for the protection of people, buildings and valuables throughout the world. Integration of Commend Intercom Solutions has been hugely successful in many industry sectors. Intercom stations, modules and servers for integration of speech, image and data can be found in control rooms throughout the world for increased security. For example, help and emergency call points for transport solutions, controlling barriers in car parks and controlling lifts in buildings. Commend solutions can be found in iconic buildings; in universities and schools; in production facilities; refineries; railways; airports; hospitals; car parks; tunnels and many more. All of these industry sectors require absolute dependability in a variety of situations. Exceptional quality, state of the art design, reliability, commitment to longevity and product development, ensures that a Commend Intercom solution is a lifetime investment in communication and is why we remain the preferred choice among our customers. Total biometric solution provider with its core technologies evolved from fingerprint recognition. Virdi has set benchmarks for a user friendly security products including biometric access control systems. Virdi provide Biometric/RFID Terminals,Software, Access Controller,USB Scanner and other Accessories that can help setup your biometric requirements. Together integrated with Kuwait Computer Services IBA Time and Attendance Solutions provides a cost effective solution to manage your Time Attendance,HR and Workforce Management. Hikvision is the world’s leading provider of innovative video surveillance products and solutions. Hikvision advances the core technologies of audio and video encoding, video image processing, and related data storage, as well as forward-looking technologies such as cloud computing, big data, and deep learning. 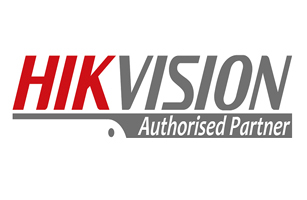 Hikvision solutions network cameras, analog and HD CCTV cameras, DVR/NVRs, and video encoders. Avigilon designs, develops, and manufactures video analytics, network video management software and hardware, surveillance cameras, and access control solutions. Avigilon’s solutions have been installed at thousands of customer sites, including school campuses, transportation systems, healthcare centers, public venues, critical infrastructure, prisons, factories, casinos, airports, financial institutions, government facilities, and retailers. Pelco (Strategic Partner) – Pelco is a world leader in the design, development and manufacture of video security systems, including high-definition and IP fixed, dome and integrated positioning camera systems; next-generation video management and software-only solutions; video matrix systems; full HD displays and more. Axis is the market leader in network video and a driving force behind the shift from analog to digital video surveillance, which paves the way for a more secure, smarter and safer world. Axis offers network video solutions for professional installations featuring products and solutions that are based on innovative and open technical platforms. Microsoft Corporation is an American multinational computer technology corporation which develops, manufactures, licenses, and supports a wide range of software products for computing devices. A leading corporation that specializes in developing and marketing enterprise software products — particularly database management systems. Looking for partnership opportunities ? . Please contact our sales department at sales@kcs.com.kw for more details.